TTControl, the joint-venture company of TTTech Computertechnik and Hydac International, launches an end-to-end solution to connect mobile machines via a cloud platform to the customer. The offering is designed to enable OEMs (Original Equipment Manufacturer) and fleet owners to optimize their fleet management and machine design. It also helps to ensure availability of machines, which is especially useful for the agricultural and construction market. The company’s solution includes a hardware unit named TTConnect Wave (IoT gateway), an M2M SIM card, as well as cloud platform access (TTConnect Cloud Service) and is now available for customers. 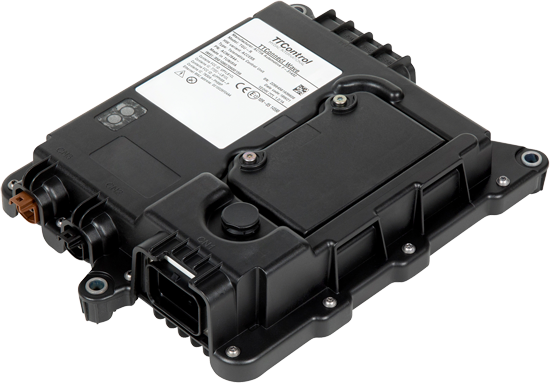 The included hardware unit TTConnect Wave is a ruggedized IoT gateway that connects vehicles or machines to the cloud via cellular or wireless interfaces. It is designed to connect the customer’s fleets to the TTConnect Cloud Service platform. The device provides in-vehicle interfaces such as CAN in addition to its wireless and cellular interfaces. The solution allows machine OEMs and fleet owners to benefit from machine data and enables services such as convenient monitoring and management of machines through up-to-the-minute information on machine status, operations, and locations. Detailed information on parameters, individually defined by the customer, help to improve operational efficiencies as well as to perform remote diagnostics. The solution allows customers to make informed and data driven decisions regarding future machine design. Based on the insights from machine operations, value can be added to a product by creating new applications and services. High availability of machines is crucial especially for the agricultural market. Some work within an agricultural year can only be done in a limited time frame, such as harvesting or planting. For this reason, up-to-the-minute machine status information is beneficial since it indicates potential upcoming technical issues in advance, providing enough time to react and keep the machine in service. Also, connectivity assists with field efficiency analysis and field operation recording. Software updates through the lifecycle of the machine are provided remotely. The TTConnect Cloud Service requires no programming knowledge, and the machine data is accessible from PC or any mobile device. Thanks to its design, the platform can be customized and configured according to the distinct requirements of the customer. Remote visualization of the machine’s display via VNC protocol allows for real-time technical assistance. Data security is ensured through hosting in secured, high availability data centers in Vienna.